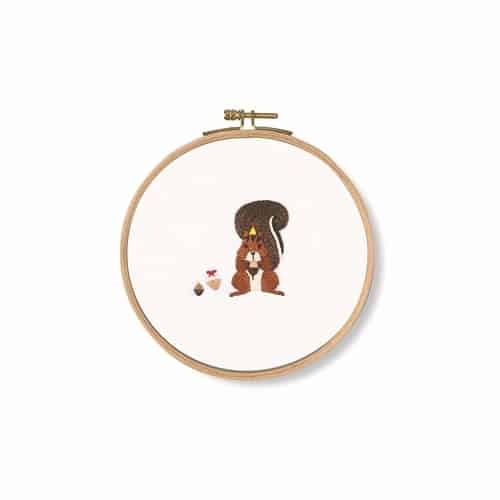 This is an embroidery kit from DMC entitled Acorns! Squirrel measuring 5″ (12.5cm) in diameter. The kit comes with hoop, preprinted fabric, stranded cotton thread preloaded onto a thread organiser, needle, chart and full, easy to follow instructions.